Great game for the whole family. 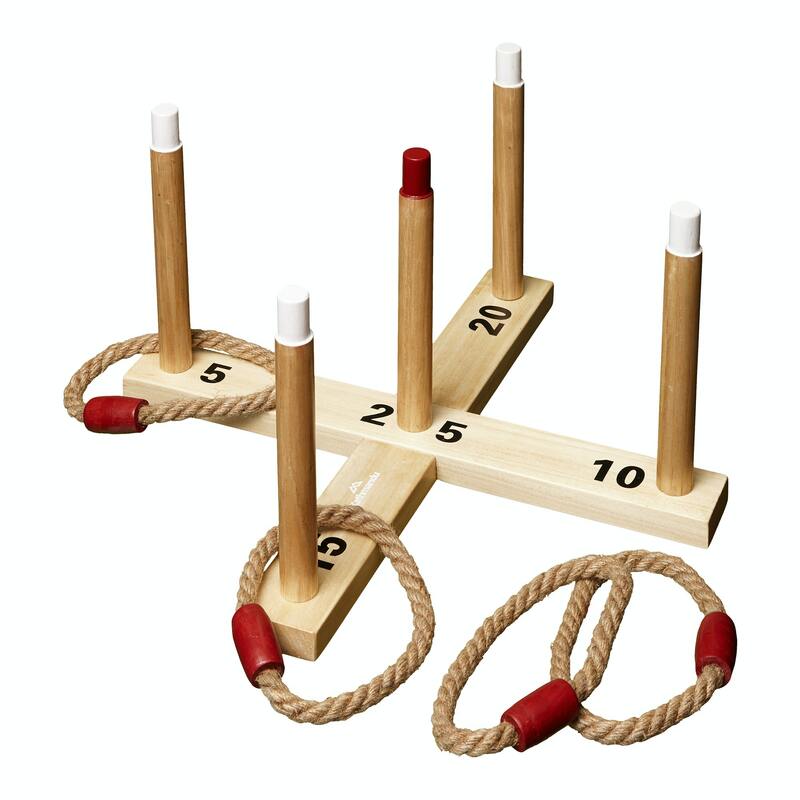 Object of the game is to throw rop rings (quiots) over the wooden pegs. WARNING: Not for children under three years of age.